Queen’s Theatre at The Lab, Sat 24 Feb. Following rupturing his spleen in a bike accident, Josh Belperio did what any good musician would do – he wrote a show about it. After his successful 2017 Adelaide Cabaret Fringe season, Belperio brings his heartfelt cabaret to the Adelaide Fringe. Belperio is a talented composer and pianist, who has an endearing honest personality on stage and although not the finest voice, it wouldn’t be fitting for anyone else to present this story. It was more than just the experience of the accident and his time in hospital – it was also about Belperio and his boyfriend becoming closer through the experience and learning more about his anxiety and what is truly important in life. 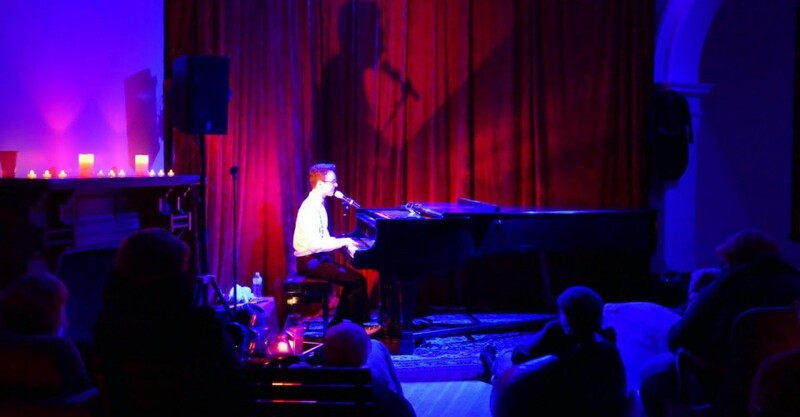 With all original songs, he is like a younger more naïve Tim Minchin bringing comedy and sincerity into his music – his proficiency as a composer is something to keep an eye on in the future. It was wonderful tonight hearing the grand piano played so skilfully in the old sparse Queen’s Theatre, which will hopefully now remain a frequently used arts venue throughout the year. Many of the jokes in Scarred For Life worked, especially once the audience warmed to Belperio’s character and the format of the show. The biggest laughs came from recounting his boyfriend having to help him urinate into a bottle and his father informing him of how see-through his hospital underwear really is. A brilliant composer presenting hilarious original content. Scarred For Life continues at Queen’s Theatre at The Lab, at various times, until Sun 4 Mar.